Can't beat 'em, join 'em! And I'll be honest. I've not actually worn it yet!! I've looked at it. I've pulled it on. But always changed my mind. I don't know what was different today. It might have been my general 'try more combinations' attitude, or the fact that I now have the perfect jeans to wear it with! Back before Christmas, Rosie and I had a clothes swap. She had a pair of jeans she thought I should try, so I swapped her for a tunic. They are long (they actually are a little too long, where they're keeping most of my feet warm! 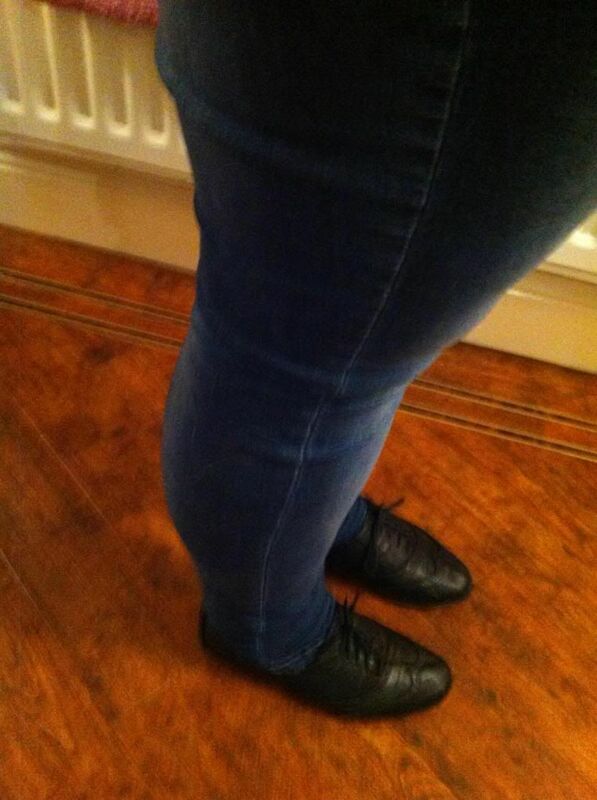 ), they're tight fitting (but still fit), and they're comfortable! WIN! Now then, being a little ample in the rear department, I am often worried that I get the 'gaping' moment with the waistband - and as you can see from this picture - gape free! I think what works with this, is the tightness of the jeans is down played by the looseness of the shirt. I could belt it, if I felt the need to, but in this case, I think the shape of the man shirt works! 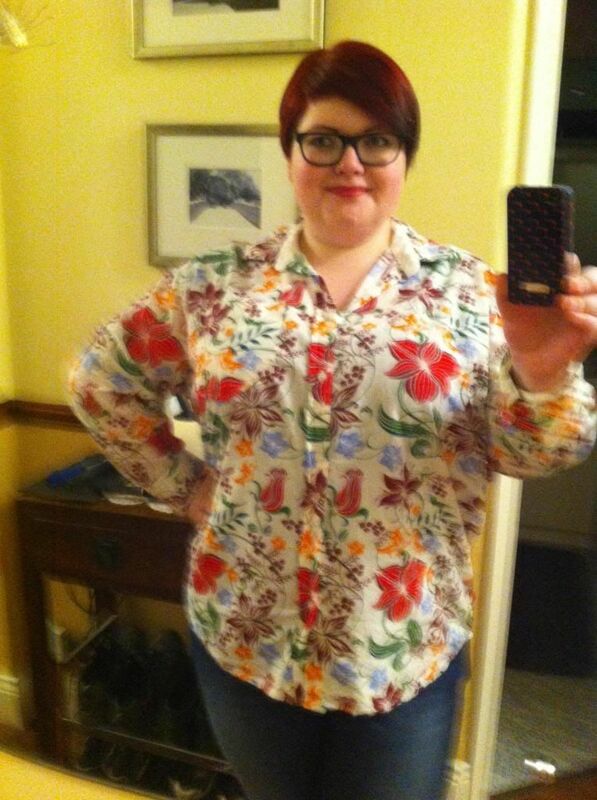 So, my Joe Browns shirt, coupled with my Rosie jeans, does a happy Kathryn make. And it is a little adventurous, and away from my usual style, so what is not to like! Have you played with men's clothing? What did you think? Love that shirt and now off to look in Jacamo to see what goodies I can find.